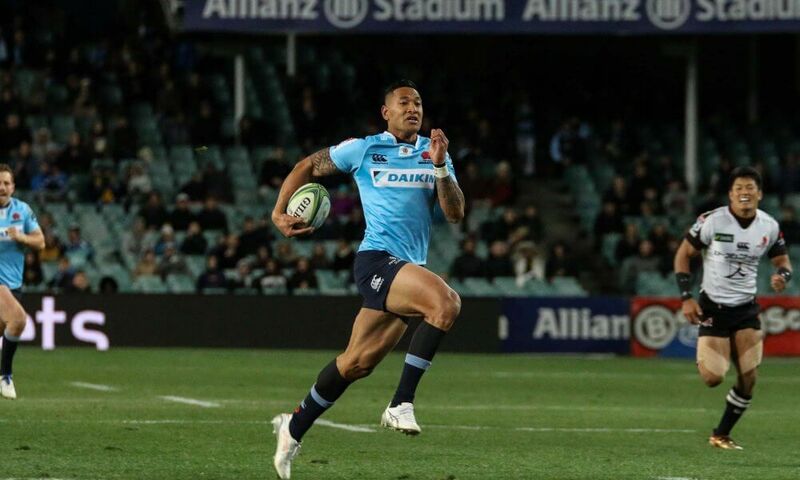 On Saturday, the NSW Waratahs host the ACT Brumbies in a vital match for both sides. At stake is the carrot of a potential lucrative home semi-final for the Tahs and for the Brumbies, well they love (live?) to spoil any Tahs’ party and they can also qualify for a finals spot. There’s plenty to play for. 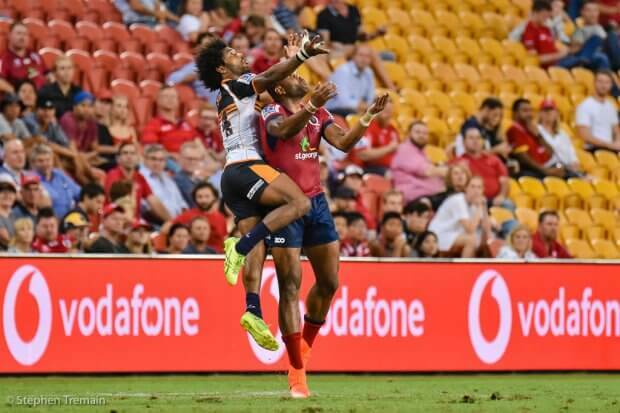 The Tahs have scored an average of 4.7 tries per match this year compared to only 3.3 for the Brumbies and have displayed a willingness to move the ball quickly once they have achieved suitable field position. 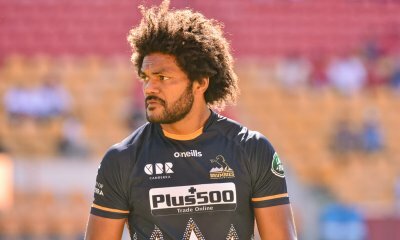 Henry Speight will need to deny space to Taqele Naiyaravoro but will also fancy his chances of getting around Big T.
The clash between David Pocock (who has 19 pilfers in only 9 matches in 2018) and impressive Tahs’ openside Will Miller promises to be gigantic. Both sides will be looking for season-best accuracy at the contact zone and intelligent decision making prior to taking contact. The importance of this clash stands out like the proverbial. Enough said. An acquaintance of mine recently suggested that SANZAAR should review the whole salary structure introduced for TMOs this season. There appears to be some ambiguity as to how a TMO would qualify for performance pay but I couldn’t possibly comment. Past matches between these sides have often had some heat to them so it is quite possible that George Ayoub may may be required to assist referee Angus Gardiner. 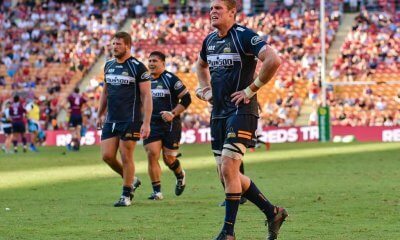 The Brumbies need a bonus point win if they are to have a chance of making the final eight so they simply must bring all the attacking flair they can muster to the clash. The Tahs will want to ensure they finish in second position on the ladder to reap the benefits (and dollars) that will bring in terms of opponents and home playoff matches. All logic suggests both teams will be looking to score as many points as possible, playing right to the final whistle. Both sides maintained relatively secure primary possession this year. The difference between the teams has been in the effectiveness of their backlines. The Tahs have shown a willingness to move the ball wide and they have scored some fine five pointers this year. The Brumbies have some decent players in their high numbered jerseys as well but they just don’t seem to have clicked this year. It really is a match where players such as Lealiifano, Godwin and Kuridrani have to exert significantly more influence with ball in hand. 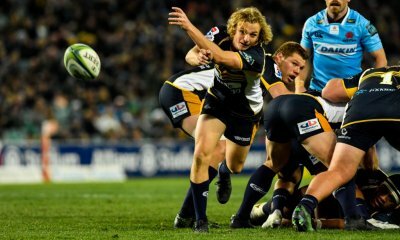 It’s a case of now or go home for the Brumbies. The Waratahs to continue their recent improved form and secure second place on the ladder. Which will be the larger number, the spectators or the TMOs? I have a feeling that a really good crowd will turn out for this one. Yeah true i was kidding. I am saving my hall-pass for next weekend though. I think a bit much is being made of Miller vs Pocock. 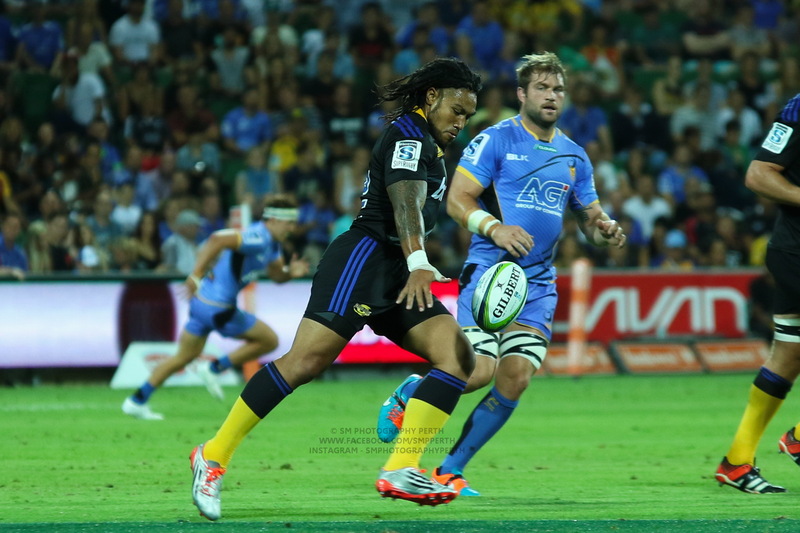 One of the best – if not the best – open side flankers in the world against a decent Super Rugby flanker. If Miller didn’t play for the Tahs this wouldn’t be being built up as a ‘titanic clash’. I’m just looking forward to the front row clash. I suspect the Tahs will be too strong, but I don’t think it will be by 14. Miller can only play what’s in front of him but he’s been very good in doing that this year. Him and Pocock are clearly the form opensides in the country. Funnily enough it’s not so much at the ruck but linking and support and defence where it’s a “matchup”. Miller has a lot of ruck support from Wells, Fitzgerald then Latu, Kepu, Beale and Phipps also can steal a ball. Pocock on the other hand has less allies at the ruck. Not sure Miller has been clearly better than Faingaa, while he his good no doubt. Colby never plays a bad game but I don’t know if he’s been a standout in any really this year either. Anyway Miller is making the absence of Hooper a lot easier to deal with for Tah fans. Should be a good game Sat night. Miller is busier, and I would say better, than Hooper at contesting rucks, slowing opposition ball and pilfering. His positional play and support for the ball runners out wide is as good or better too. It’s really only in hitting the ball up where Hooper is better. I reckon Michael should move to No 8 when he comes back and Miller keeps the 7 jersey. Too many tries in the Tahs’ Nos 11 and 15, unfortunately. Just can’t get the image of Naiyaravoro running around Henry in the earlier game this year out of my head. I fear the Brumbies will be packing up for the year after this game. But their late form was pleasing after such a shithouse start to the season. Went down to the Reds in Brisbane and lost both games against the Rebels. That’s their season stuffed right there. Jeez, the Ponies have got some tall timber at 4,5 and 6. 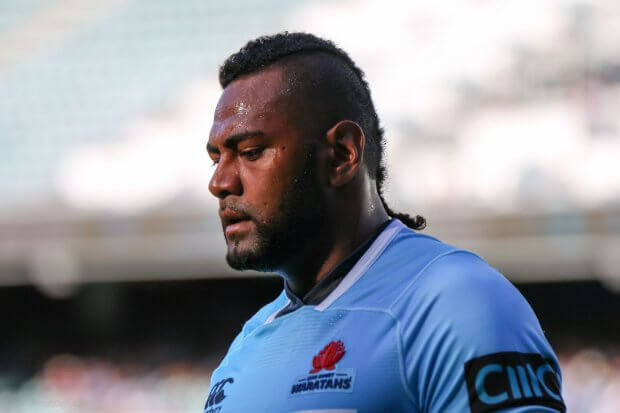 Tahs cold be in for a bit of a test up front. This should actually be a solid game. Did Jack Dempsey’s Hamstring just disappear altogether last year? or is he coming back at some stage!?! is number 16 Tolu Latu? I read this morning that Dempsey is expected to be another 8 weeks at least. Might come back via NRC. Tell me about it aye. I can imagine the young fellah has had some challenging days mentally through it all. Imagine going from MOTM in a win against NZ to not playing for 8 months, and probably being in fair amount of discomfort for a good portion too. Didn’t it tear straight of the bone or something like that? Yes, 16 is Tolu Latu. I just felt like including some formality by using his full name :) And you are right, this could be a very good match. I am a Tah’s fan through and through, i’d love to see 14 points our way at f.t, but i reckon its closer than that due to one D Pocock nullifying clean, quick, crisp pill to the fairies Tahs by 3-5 in a nail-biter. I think you’ll find the National Selectors is singular, not plural. But hey grammar was never my strong point. The Brumbies need to win by 3+ tries though so it could also backfire for them if they try and play too attacking if they can’t get the right level of ascendancy first. I think it will be a good game but I tend to think the Tahs will be a little too good at home. This is the pack weights as listed on the teams websites. Been real impressed with Holoway as a lock. More involvements, has some real meat in everything he does. I initially saw him as a Wallaby 8, but a good showing against the Ponies and in the finals he’d have to be there-about’s for the Wallabies in June. He’s no where near a Wallabies spot. There are at least 6 locks ahead of him (probably more) and he’s simply not good enough in the backrow to ever be called up in one of those positions. Maybe. Its getting crowded in the 5/6 department with Tui and Hanigan. Even more crowded at lock with Coleman, Rodda, Arnold, Phillip, and Simmons. Which is great of course. Its hard to see him playing 8 at the Tahs with Wells doing such an outstanding job. With Dempsey to come back, Jed is a candidate to be poached overseas if Cheika keeps him out. Sometimes teams fudge weights for whatever reason. Or maybe it’s players who do the fudging! Thats an extra 40kgs of corpuscle needing oxygen. Which means the Brums are gunna be sucking in the big ones when the Tahs go wide fast. Those extra 40kgs could well be a little too much lead in the saddle bags in the back end of both halves. Throw in the Tahs better bench and I think they’ll be too quick for the horses. Great news just reported on rugby.com.au. Charlotte Caslick is going to reject the offer from League and stick with Rugby. She has not actually signed her contract with yet but says she is close to finalising.